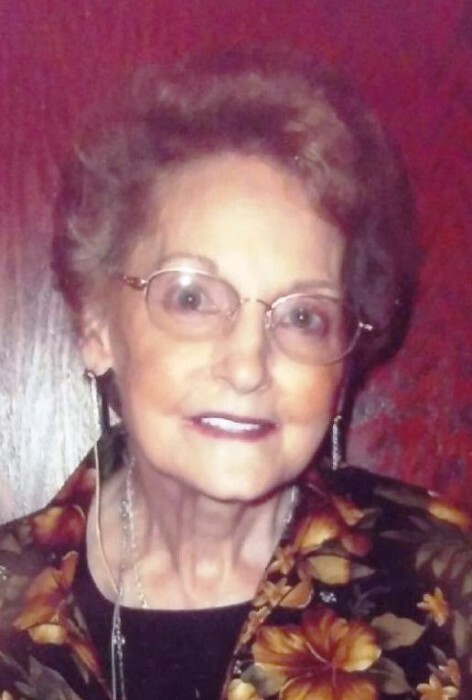 Evelyn “June” Schrock, 85, of Washington, passed away Saturday, June 9, 2018 at Select Post Acute Care in Eureka. She was born Sept. 9, 1932 in Normal, IL to Melvern and Lena Sheperd Peak. She married Robert Schrock on Nov. 8, 1969. Schrock, Barbara (Steve) Skinner, Ron Gordon (deceased), David Schrock, JoniLee (Larry) Karcher, Randall Gordon (deceased), Edward Schrock, Sara (Tom) Seckler, Tamilyn Gordon, Tom (Karen) Schrock; several grandchildren; several great-grandchildren; and 3 siblings, Gary Peak, Clyde (Louise) Peak, and Aloha LeeMaster. She was preceded in death by her parents; brother, Wayne; and 2 grandchildren, Bobby and Katie Schrock. June was a devoted Christian. She would sing and do the cantatas. She was also very devoted to her family who meant everything to her. Memorial contributions may be made to the Alzheimer’s Association. Visitation will be from 2 to 4 pm on Friday, June 15, 2018 at Deiters Funeral Home and Crematory in Washington. A funeral service will follow at 4 pm on Friday with Pastor Fred Doughty officiating. Cremation rites will be accorded following the service. June’s memorial website is available at www.deitersfuneralhome.com where condolences may be sent to the family.